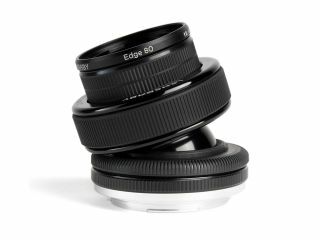 Lensbaby has announced a new 80mm Edge 80 Optic to be added to its current line-up of Optics. Compatible with the Lensbaby Composer Pro, Composer, Muse, Scout and Control Freak, the Edge 80 can transform existing lens bodies into a tilt lens which delivers a section of sharp focus through an image. Like the Lensbaby Sweet 35 Optic, the Edge 80 has an internal 12-blade adjustable aperture - other optics use interchangeable aperture disks. The Edge 80 provides a flat field of focus and when the lens is pointed straight ahead it produces images which are sharp from edge to edge. By tilting the optic, vertical, horizontal or diagonal slices of focus can be created through the image. The size of the slice of focus can be controlled by changing the aperture size. Aperture can be altered from f/2.8 down to f/22 by using a rotating dial on the front of the optic. Lensbaby expects the product to be popular with different types of photographers, including those specialising in food and portraits. It can also be used to give landscapes a "miniature" type appearance which is usually achieved via an expensive tilt shift lens. The Lensbaby Edge 80 UK price has not yet been confirmed, but it expected to retail for around $300 (c. £190) in the States.